What is a Benchmark in Mutual Funds? Home > Direct Mutual Funds > What is a Benchmark in Mutual Funds? Life is all about relativity. The comparison with others in a similar sphere gives a sense of progress towards the better or worse achieved. Same stands for mutual fund returns as well. While investing in Mutual Funds, investors might come across a term called Benchmark or Benchmark index but tend to ignore it. Many investors have no idea about the significance of the benchmark in a mutual fund and how to utilize it. The fund you are investing in will perform in a certain way and to understand whether it performed well or not, you need to know about the benchmark. On January 4th, 2012, SEBI directed all of the mutual fund houses to specify the benchmark for every scheme they have. SEBI made it mandatory so that the investors can make informed decisions and compare their fund’s performance against a certain index, which is used as the comparison for the fund. A benchmark can be referred to as a standard against which a fund’s performance is measured. It is an index like Nifty 50 or Sensex, which is taken as a benchmark of the mutual fund. As per the benchmark, the allocation of the funds for yearly or quarterly performances is compared. This comparison against the benchmark gives an insight into how well the fund manager has invested your fund and managed it over time. For example, Aditya Birla Sun Life Focused Equity Fund the plan will be compared against Nifty 100. This is a large-cap fund and thus the index chosen is also for large caps. Benchmark indices are picked taking into consideration the nature of fund and type of asset allocation so that the comparison remains viable. If a mutual fund house compares a fund which has a major allocation in small-cap stocks against a large-cap index, the comparison will be skewed. Mutual fund investors rely on the fund manager’s insights when they entrust their money to them. Benchmark in mutual funds helps these investors to understand how well their funds have been managed over a time period. If the fund has generated more returns than the benchmark index, it has outperformed and vice versa. 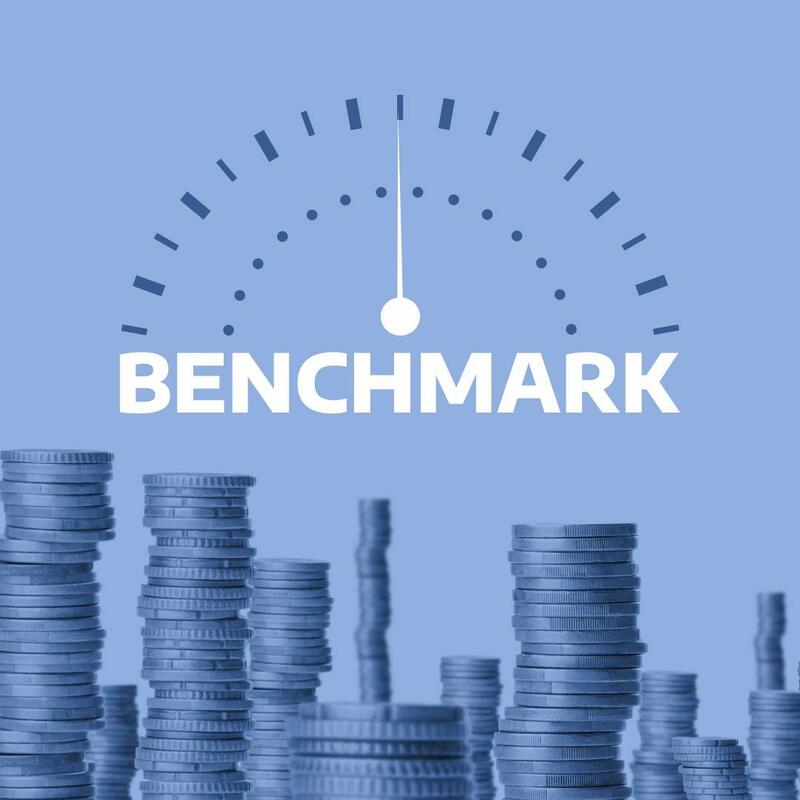 Financial experts suggest that a neck to neck performance with the benchmark index is actually an underperformance for the fund manager. Active fund managers must aim to outperform the benchmark index. If the returns are the same as the benchmark index, then the investor could have invested in the index itself while saving the fees being paid to the fund manager. If a fund manager is consistent with the returns and outperforms the benchmark over a long span of time, the demand for that fund goes up. With so many new passive instruments like ETFs or index funds where the investors don’t have to pay hefty fees for the fund manager, the mutual fund companies need to outperform their benchmark to prove their worth. 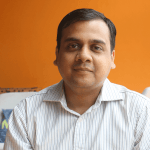 What is the Significance of the Benchmark in Mutual Funds? a) The fund has shown a large deviation from the benchmark – This can be a positive or negative deviation. A fund comprising of similar stocks has chances of outperforming or underperforming significantly against the benchmark. These deviations are called “Volatility”. For understanding this, an investor can see the “Beta” or “Standard Deviation” on fund performance to get an idea. b) One can go to any mutual fund website like Orowealth and get the Scheme Information Document. Searching for your fund house and the scheme name, one can look at the “Risk Statistics” in the “FACT SHEET” of each fund house. c) If the Beta value is higher than 1 then it is more volatile than the benchmark index and if less than 1 then it is less volatile. d) The measure of Standard Deviation will tell you by “HOW MUCH” a fund’s returns are lower or in excess of the average returns. How Does Benchmark Help in Understanding the Schemes? The benchmark also signifies the kind of risk a portfolio holds. The retail investor might not be able to judge the risk of their portfolio in isolation. However, when there is a common market index as a benchmark, they can analyze and get information about the risk of that index which might help them understand the risk and return of their own investments. This helps the investors to understand their investments on their own, at least to a certain extent. 1. Who decides a Benchmark index? The benchmark index of a fund is decided by the mutual fund house itself. The Securities Exchange Board of India (SEBI) has made it mandatory for the mutual fund companies in India to declare their benchmark for every scheme they have and performance of all these schemes against their benchmark from time to time. 2. How is benchmark selected? A benchmark should be selected for a mutual fund scheme according to the type of the allocation of the fund the scheme has. If it is a scheme, which invests in small-cap companies, then the biggest market index in small cap should be selected. 3. What are the types of benchmarks in mutual funds? Benchmarks in mutual funds are mostly the broad market indexes. In India, the most popular benchmark indexes are Nifty 100, Nifty 50, CRISIL Composite Bond, S&P BSE 500 TRI, CRISIL Liquid, and Nifty 50 TRI among others. 4. What is the NAV of a mutual fund? NAV or Net Asset Value is the per unit market price of the mutual fund. Investors can buy a unit of the fund at this price from the mutual fund company. 5. How to understand whether the benchmark is right for the scheme or not? As an investor, you can check the components of the benchmark index and tally them with your portfolio investments. In your dispatch attempting to educate the investor as to how to select a mutual fund, after giving all the preliminaries you prefer to simply state ‘select the fund from the available ones In the market’. Isn’t it useless? Having decided about the time, risk, equity – debt preference and all other, the most crucial thing is to select a company and a product. You remain silent. I wish you be more elaborate on this.